OK, simply through the respective nature of road racing and motocross it is easy to see why the subject of brakes and slowing the bike is so diverse. In a series like MotoGPTM the front wheel-eclipsing systems are indispensable to haul the KTM RC16 on the track and from speeds touching 360 km/h as well as for overtaking. 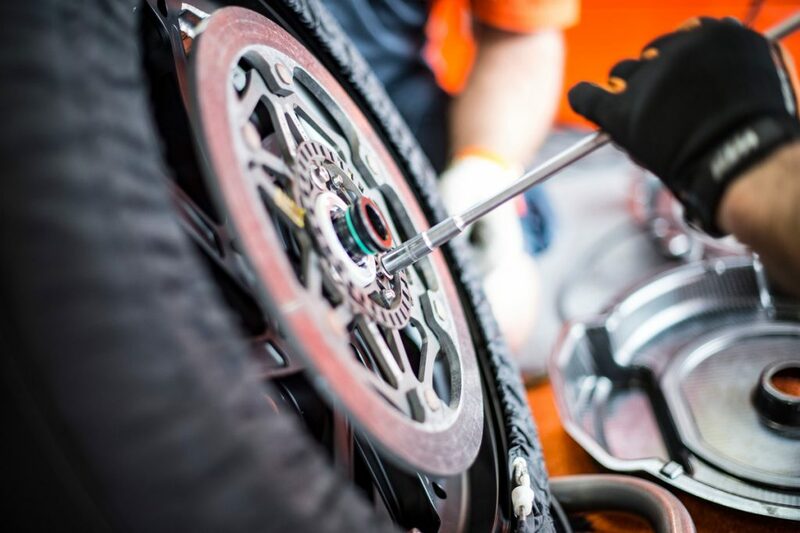 In MXGP the same principal applies but many other factors come into play, such as the type of terrain, engine braking and gyroscopic effects in the air. A motocross rider will hardly use the front brake in the sand and overtaking can come through other judgement such as line choice, traction and air-time. Braking is an undeniable part of racing, even an art form that a professional will have perfected over years of practice. But it is curious how its importance can vary. “We test the geometry of the levers, pump diameters and compounds of the brakes and how they harmonize with the discs but I would say we haven’t made a big step in this area for two-three years,” Gruebel says of the MXGP work.